Presented our poster work at SOUPS 2016. We got many useful feedback from the attendees. We are proud that there were no works except ours that performed the replication study, which plays a vital role in scientific research. 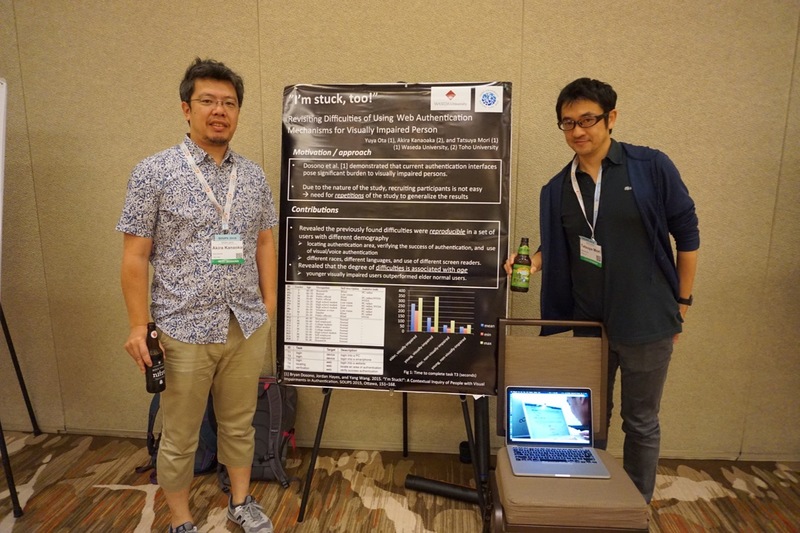 Also, I should note that this work was done by the great effort of Ota-kun who graduated this spring and was not able to attend the conference. Based on the findings we extracted through this preliminary work, we are planning to develop tools/systems that improve the usability of authentication for visually impaired person. We also plan to extend our study for generic handicapped people.